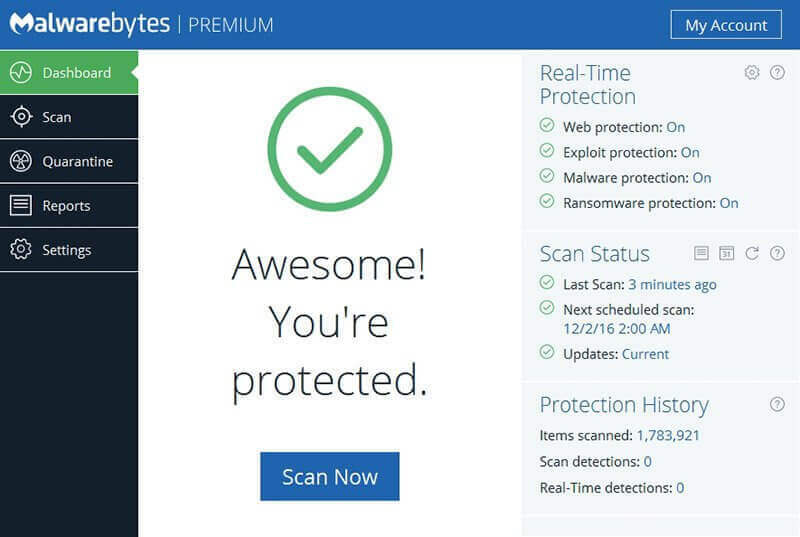 Malwarebytes detects and remove potential threats, malware and viruses in real time. 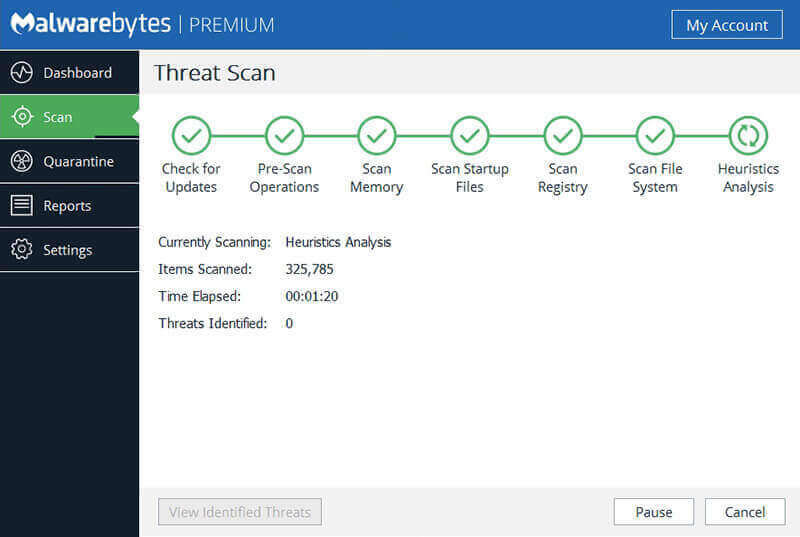 Malwarebytes anti-malware runs on Windows, macOS, Android & iOS. It is one of the best replacement to the traditional antivirus on your system. 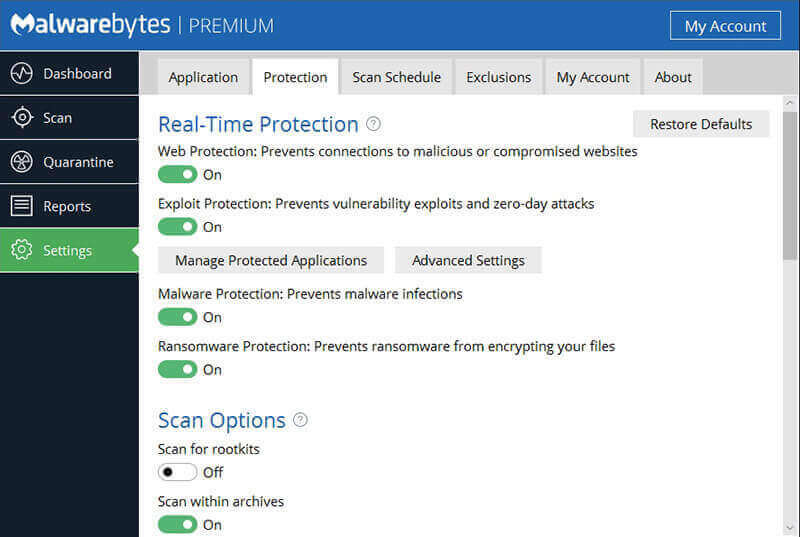 Fights against advanced zero-day threat, ransomware, exploits and malicious websites. 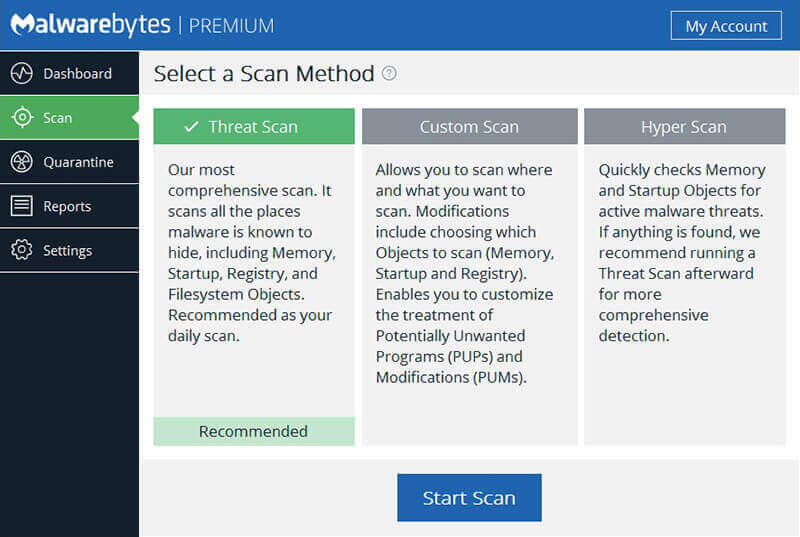 Huge database of known threats makes scanning 4x faster than regular antivirus program. It’s very easy to use – just setup it once and forget it.